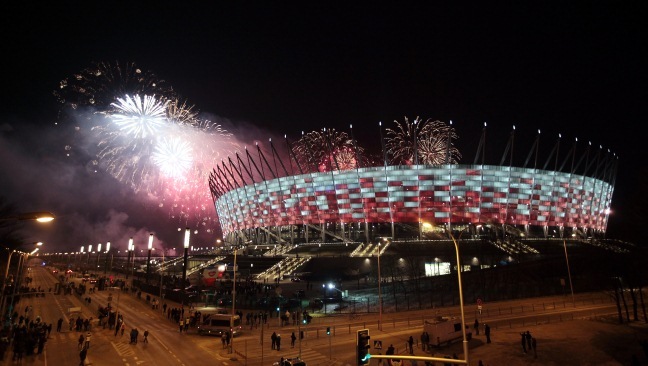 Polish football fans have celebrated the launch of the biggest stadium for this year’s Euro 2012 finals with a free music festival and fireworks display. 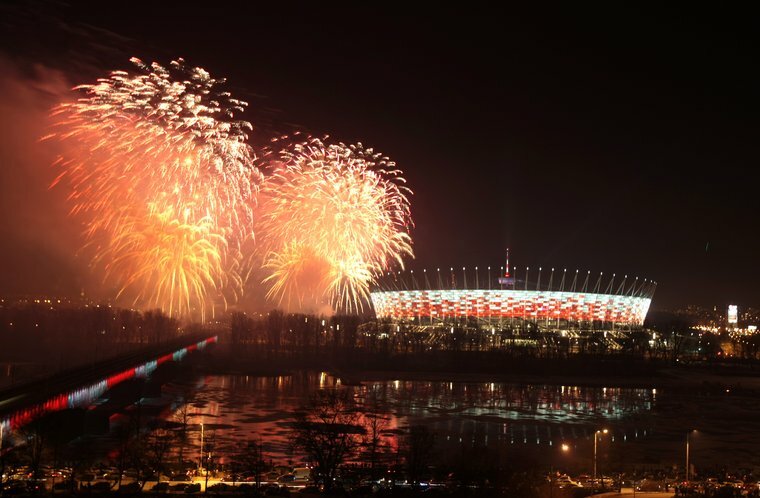 The newly-constructed National Stadium in Warsaw will host the opening match of the four-yearly tournament on June 8 when co-hosts Poland take on Euro 2004 winners Greece in Group A. The first 40,000 fans to arrive on Sunday were given the chance to see Polish pop acts including VooVoo i Haydamaky, Zakopower, Coma, T. Love and Lady Pank. The at the 50,000-seat arena, which will also host a semifinal, was built on the site of the old 10th Anniversary Stadium, which had stood since 1955 and welcomed Pope John Paul II in 1983. “I am very happy that the National Stadium has been finally unveiled,” Poland’s tournament director Adam Olkowicz told the website of European football’s governing body UEFA. “It’s the biggest Polish venue for this year’s final tournament. On June 8, we will witness the opening ceremony here followed by the first match between Poland and Greece. On February 29, Franciszek Smuda’s Poland team will play in their new home for the first time — exactly 100 days before the start of Euro 2012 — when they take on Portugal, who boast players such as Real Madrid star Cristiano Ronaldo. 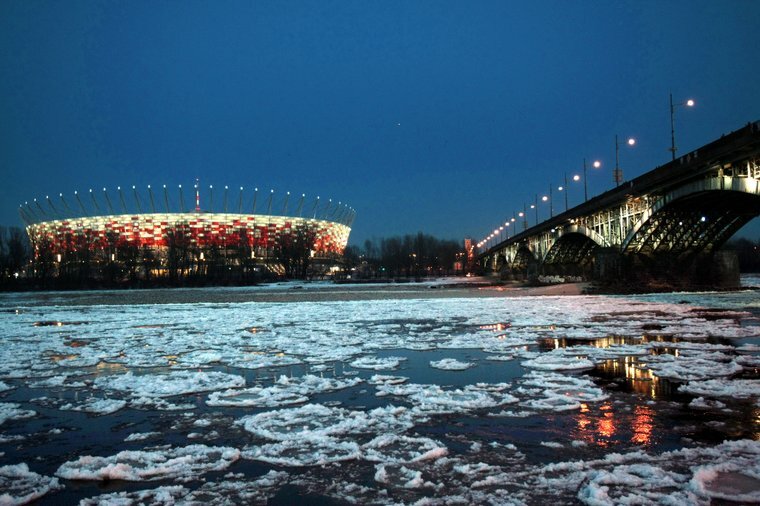 The first football match to be played at the stadium, located on the east bank of the river Vistula, will be a Polish Super Cup clash between Legia Warsaw and Wisla Krakow on February 11. 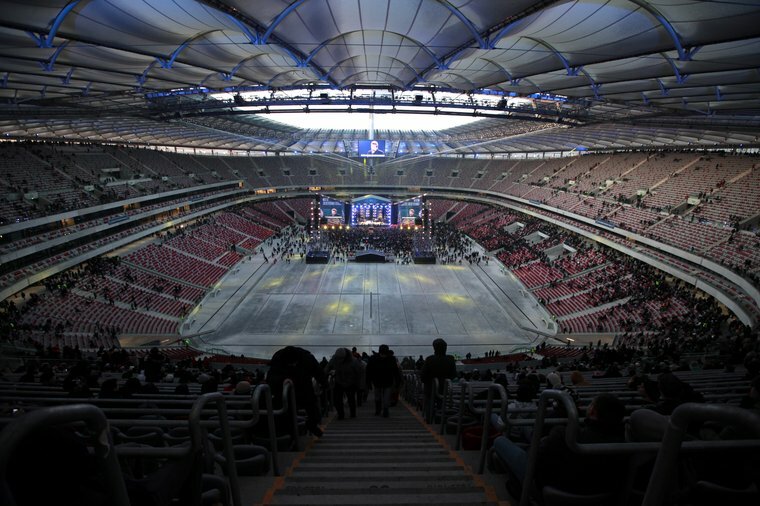 The National Stadium is one of five venues built especially for the 14th European Championship, which is being co-hosted with Ukraine, and one of three new stadia in Poland. The other two are the Arena Gdansk and the Municipal Stadium in Wroclaw.